Solve a problem that has troubled cooks for years! 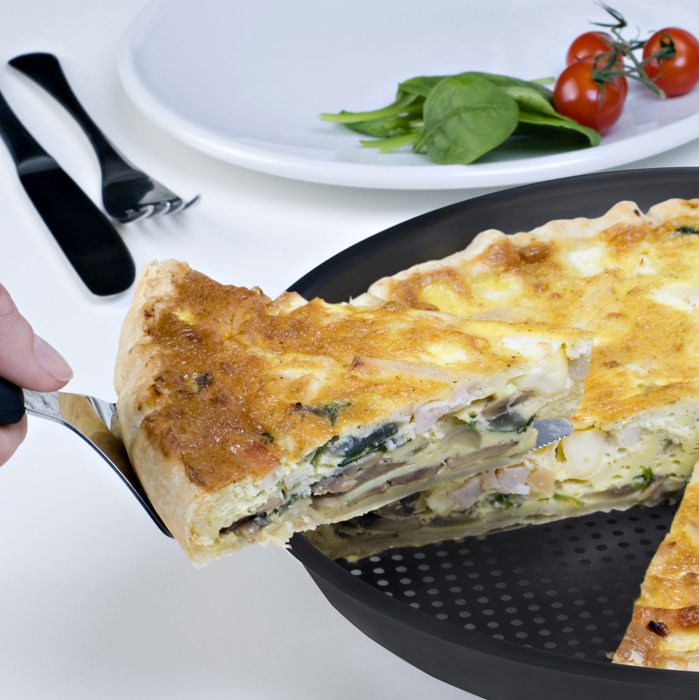 Why spend time double baking or trying risky techniques when you can use the new PiePan? Works every time - all with just one baking, without the need for extra ingredients. 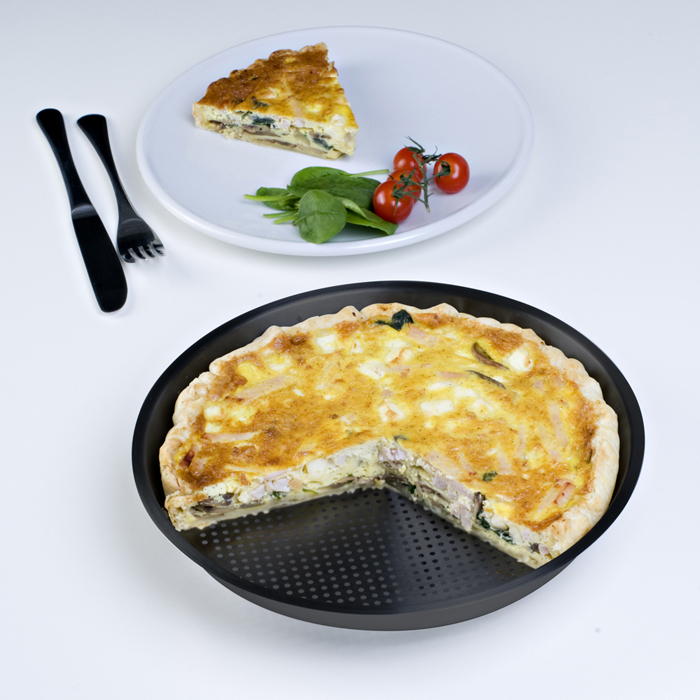 PiePan allows just the right amount of air and heat to the bottom of the pie or quiche to create a crispy, golden crust. 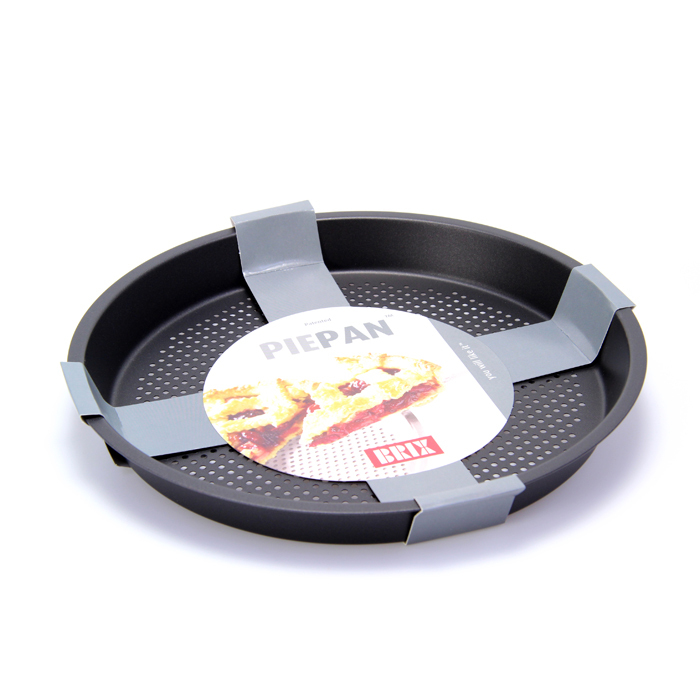 Made from durable coated steel, the PiePan will not shatter or break like glass or ceramic pans can, making it safer to use in your kitchen and longer lasting. Perfect for use in electric and gas ovens. Your PiePan can go straight into your dishwasher with regular dishes. In fact the specially designed perforations in the PiePan will not only crisp the crust, but will enable the pie to come out of the pan cleaner and easier.